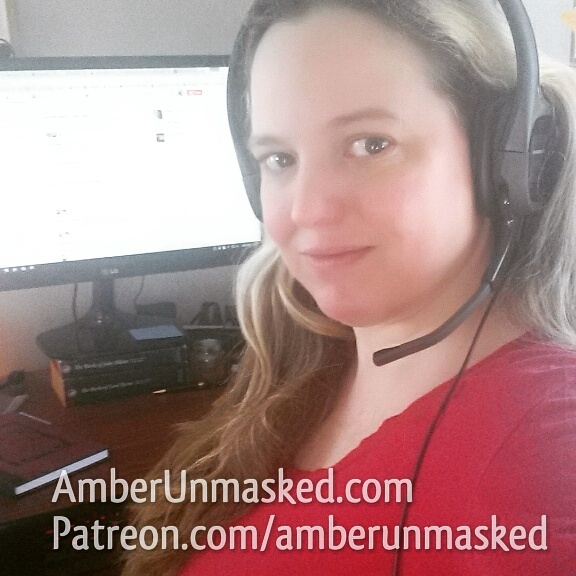 AMBER LOVE 15-JUNE-2014 This is a recording of the second panel I attended at the SPECIAL EDITION NYC comic book convention. I tried to boost the audio of the panelists as best I could. Seems like you can hear everyone clearly. There is background noise. I was in the last row and people were fidgeting and whispering. The recorder seems to pick up a bit too much including background noise from the next room over. 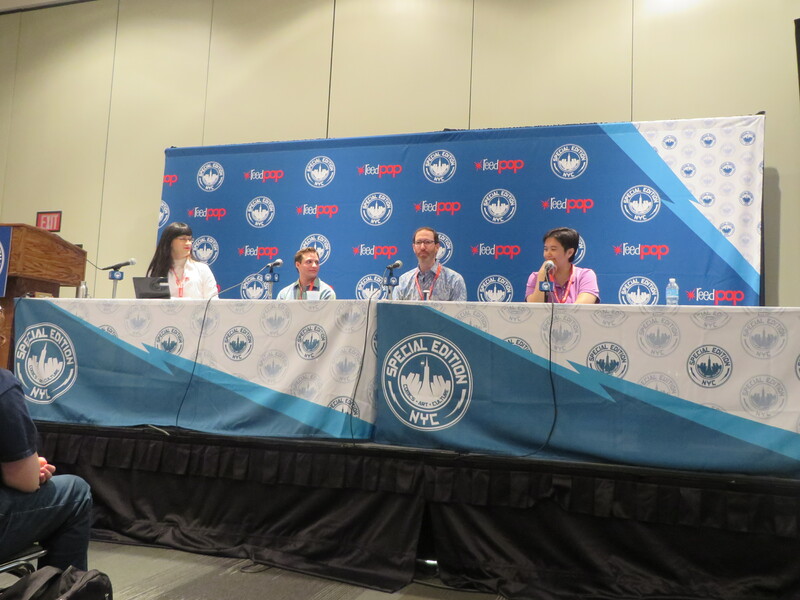 SECRET IDENTITIES: TRANSGENDER THEMES in comics was a panel moderated by Charles Battersby who described himself as a man who cross-dresses therefore since he did not identify as a woman, I’ll use the pronoun “he” in reference. Also on the panel was female to male transperson Morgan Boecher who writes and illustrates a comic; mainstream comics writer Joe Kelly whose book BANG! 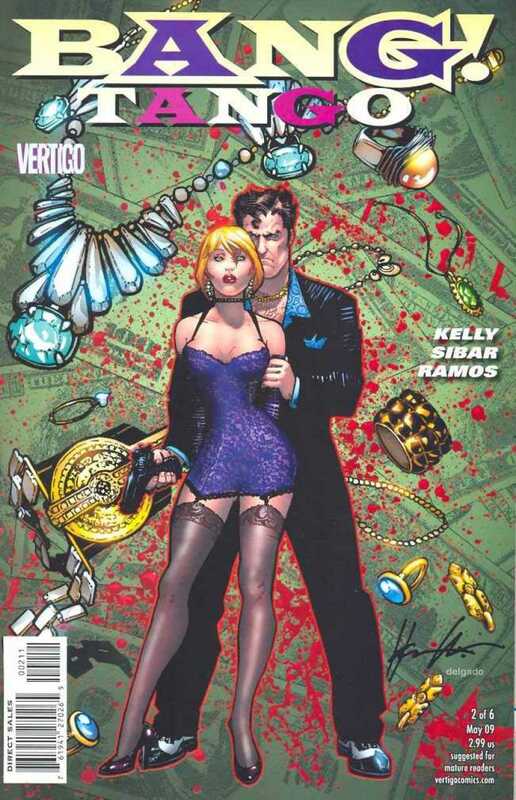 TANGO was published by Vertigo/DC and features a romance story within a crime noir about a transgender woman and her macho ex-boyfriend; and writer Kristen Enos, author of CREATURES OF GRACE and board member of Prism Comics. Since learning about transgender issues is so new to me, each panel I attend introduces me to concepts that I may have known but didn’t give any thought to prior. Whether it’s steampunk, comics, or gaming and whether you’re cis- or transgender, I encourage everyone attend some of the panels to learn about areas of cultures that tend to be “other” or marginalized by your societal norms. Popular tropes in fiction history have been to use gender swapping only a means to deceive or as a curse. There’s sometimes concern about making a minority character the villain of a story because it could give the impression of vilifying that population. The use of gender has made a big evolution in the last decade or so where the character’s identity is either not part of the story but something that’s casually approached or a respectful story that humanizes the character’s life. Gender switching has come a long way from being weakening a male by making him turn female or strengthening a woman by making her male. Now the stories are approaching a truer perspective about how a character sees themselves and their struggles within a physical body that doesn’t suit them.